Leadership involves asking questions. Developing your leadership character is helped by asking good questions. I think the first question I asked was this, ‘what am I doing?’ I still ask that question from time to time. Here is one thing I have learned on my leadership journey: Asking the right people the right questions at the right time has the ability to help me become the right kind of leader. Questions can help you learn. Questions can scratch beneath the surface. Questions are moments of genuine enquiry not just nosiness. Questions have answers that we may not always want to hear but should listen and learn from anyway. You should always have a question. If you are listening to someone teach, get a question. You may not always get the chance to ask it but get one regardless. Here are 5 general questions for a leader to start you off…. What are the characteristics you look for in a leader? What’s the biggest thing you have learned about leadership? Why do some leaders fail? What do you do to keep growing as a leader? What do you consider are the most important decisions you make as a leader? 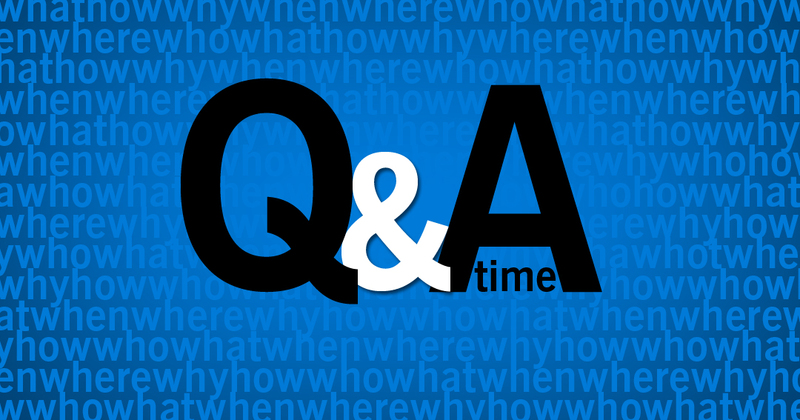 If you could sit for a while with a leader who you want to learn from, what question would you ask? What is one mistake you see leaders making more frequently than others? And how to try and prevent yourself from making it yourself? What have you learnt about dealing with other peoples attitudes as a leader? And how do you stop it from getting to you (if it’s negative)? As a leader how might you decide who to put in a certain area when others may disagree with your choice? When you know people are going to move on from your team or ministry how do you get the balance of being sure to still invest in & develop them but still have the time/resource/ability to still bring other leaders through too? Is there ever a point where spending that time to develop individuals makes the ministry as a whole suffer or be in lack? How do you inspire a team that might be Un motivated? How do you deal with someone on your team whose heart seems to be in the wrong place and who just doesn’t seem to care? How do you keep a team going long term and going beyond yourself as the team leader?